Ford is targeting $400 million in savings on Fiesta production costs because of greater worker flexibility. Ford Motor Co. will keep production of the Fiesta, its top-selling European car, in high-wage Germany after agreeing with workers to cut assembly costs as the automaker looks to end losses in the region. Media reports had said Ford considered moving Fiesta output to its factory in Craiova, Romania, where the company builds the B-Max minivan. Today's announcement ends months of uncertainty for staff in Germany. Ford said in a statement that management and workers at the Cologne plant had agreed to scrap costly night shifts, increase flexibility on working hours and reassign work from suppliers to Ford, delivering total savings it estimated at $400 million between 2017 and 2021. The pact covers all 24,000 Ford employees in Germany and includes a pledge not to cut jobs. Full shifts can be added on a daily basis or shifts can be cut or extended by 30 minutes according to demand, Ford said. "We absolutely looked at other plants. We wanted to make the Fiesta profitable in Cologne," Barb Samardzich, chief operating officer Ford of Europe, said on a conference call with journalists. The "breathing factory" would make Cologne "globally competitive," she said. Ford will also hire about 500 engineers at its development center in Cologne, one of two German factories, which employs about 4,100 staff. Labor costs in the German manufacturing industry were 36.98 euros per hour in 2012, compared with 29.56 euros in Japan, 25.87 euros in the United States and 3.78 euros in Romania, according to the Cologne-based IW economic institute. The next-generation Fiesta is due in 2017. European sales of the Fiesta rose 13 percent in the first four months to 113,811, according to JATO Dynamics, making the subcompact the automaker's top-seller in the region ahead of the Focus, which had European sales of 81,192, up from 79,871, during the period. Ford’s Cologne plant opened in 1931. The company operates a second assembly plant in Germany in the town of Saarlouis, close to the French border. Ford closed two smaller manufacturing operations in Britain in 2013 and plans to shut its Genk, Belgium, assembly plant at the end of this year, cutting about 5,700 jobs in total. 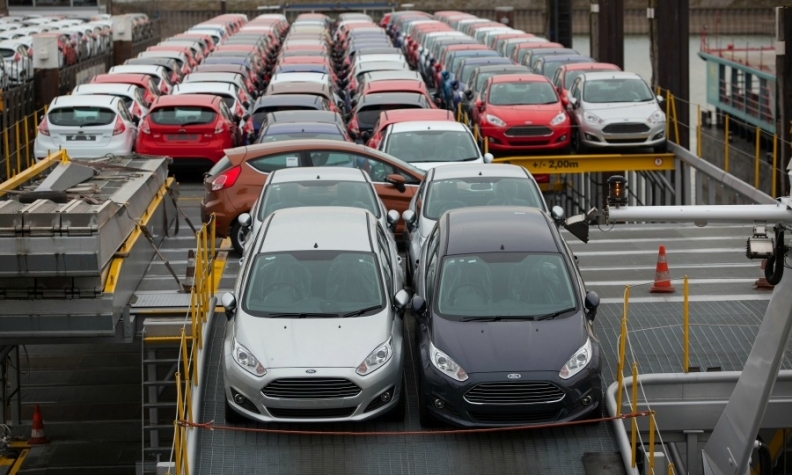 Ford plans to return to profit in Europe in 2015. The European operations are "on track" for the turnaround, Ford CEO Alan Mulally said at a conference in Dusseldorf, Germany, on May 23. Losses this year are expected to narrow from the $1.6 billion posted last year.